Unwanted hair on the face and body is a problem that is faced by men and women alike. Further, the amount of time and money that one spends on recurring hair removal appointments have become a part of one lifestyle that no one looks forward to. To add to this, these methods of hair removal are cumbersome and only provide relief for a few days. What is the Ice Cube Cool Laser Reduction Technology? The Ice Cube Cool Laser Reduction Technology is a new innovation in the field of laser techniques that effectively makes the hair reduction treatment virtually painless. Its state-of-the-art laser technology significantly reduces the recovery time of the patients. This procedure can be used to reduce the growth of unwanted hair from all body parts including the face, legs, underarms, arms, or the bikini area. It employs the use of the RF Ice Cube 2.0 technology, and can be self-initiated at the comfort of the patient. Superior to other laser treatments available in India, the laser operates at a high motion speed, and the cool brush technology makes it a significantly comfortable procedure. Before beginning with the laser treatment, the targeted hair is trimmed to a length of a few millimetres above the skin. The specialist will then adjust the laser instrument to the area of the hair to be removed, while also keeping in mind the colour of the skin and the hair type. Since the laser treatment involves the application of a pulsating, intense beam of light, the patient will be given a protective covering for the eyes. The specialist will then proceed to apply a special gel on the skin surface that helps them penetrate the laser beam deeper into the skin layers to target the hair follicle. There might also be an application of a local anaesthetic to reduce any possible discomfort during the procedure. The specialist will then test a single pulsating beam to check the occurrence of any untoward side-effect. If there are no side effects, hair removal through the laser beam is resumed. It is important to note that while hair removal on small areas like the upper lip, chin, or any other part of the face may only take a few minutes, the hair removal on other parts of the body may take hours depending on the intensity of growth. Before your scheduled appointment, you need to limit the use of alternate hair removal methods like waxing, plucking, and electrolysis for at least six weeks. Patients are also advised to avoid exposure from the sun for six weeks both before and after the treatment. Not only does sun exposure hold the risk of making the laser hair removal treatment slightly less effective, but it also increases the chances of developing complications at a later stage. Patients are also advised to make use of either ice packs or cooling gels on the area of the skin that has been under treatment to reduce any plausible discomfort. It is also recommended that patients protect their skin with a high-SPF sunscreen for a few weeks after the treatment. The sunscreen lotion should be clinically approved depending on the condition of the skin and its sensitivity. Who can consider the Ice Cube Laser Hair Removal Treatment? Any individual who wishes to get rid of the unwanted body and facial hair, and does not wish to repeat the procedure every few weeks. People of all skin types, including skin tones of lighter and darker shades. Anyone who wants to get rid of acne-breakouts after waxing or razor bumps can opt for the cooling laser hair removal treatment. When it comes to a long-term solution for unwanted hair, laser hair removal treatment methods have a clear upper hand over conventional techniques. However, even they cause a level of pain and discomfort to the patients. In this regard, the Ice Cube Cool Laser Hair Reduction Technology offers individuals a pain-free solution to their previously cumbersome hair loss methods. 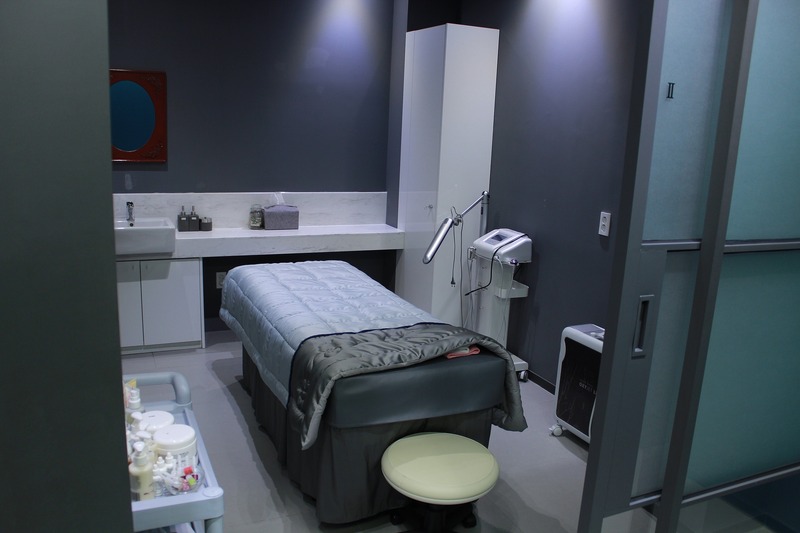 Whether looking for a laser hair removal in Bangalore or any other city, this breakthrough technology for unwanted hair is available across the country.